The Consonant Sounds Showdown Game is a self-motivated skill development letter recognition game that can be played by individual kids or students on teams. A "caller" says "Find the letter or letters that make the ending sound of the word X" and students find them from among a group of letter flashcards. One-on-one, students compete against their own previous timed performances. In group interactions, teams compete against each other to find the correct letter or letters first. 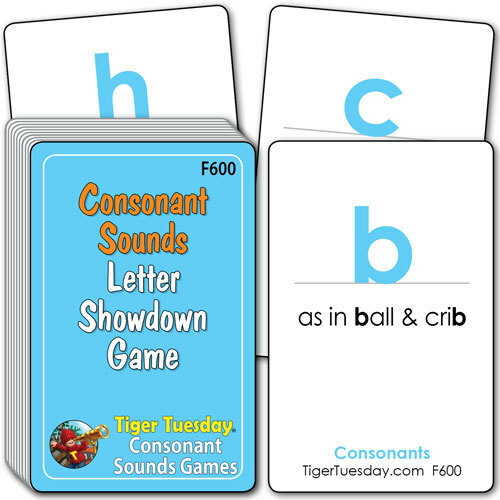 Game includes directions for Letter Showdown and two decks of consonant flashcards.